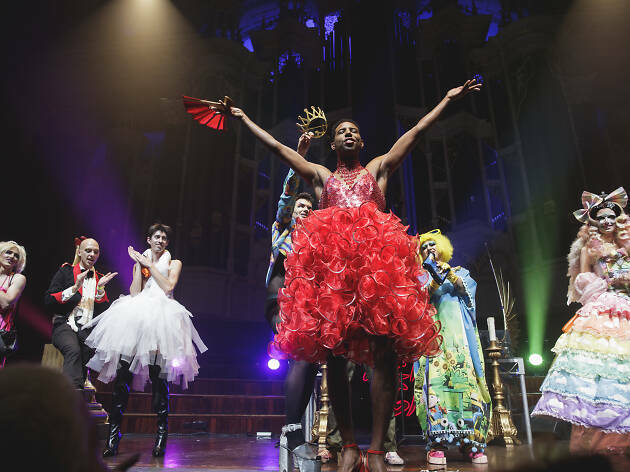 The Heaps Gay party crew will be bringing a touch of oppalence to Sydney Town Hall for their Qween’s Ball, a lavish party of queer art and music, and part of Vivid Sydney. The theme for this year’s party is “Winter is Coming” and revellers are encouraged to dress up in their best op-shop wintery chic (faux fur recommended). As with all Heaps Gay parties, there’s a line-up of the best queer artists and DJs from around the country, including pop-electronic singer and songwriter Kota Banks of Nina Las Vegas’ NLV Records, experimental pop duo Collarbones, and Australian DJs MIMI, Mowgli May and Fur Coat. And as with any Qween’s Ball, you should expect plenty of queens. They’re even bringing out late ‘90s pop queen, Vanessa Amorosi, who’ll be performing a bunch of her classic hits and bringing absolutely everybody on the dancefloor to new heights of musical joy.